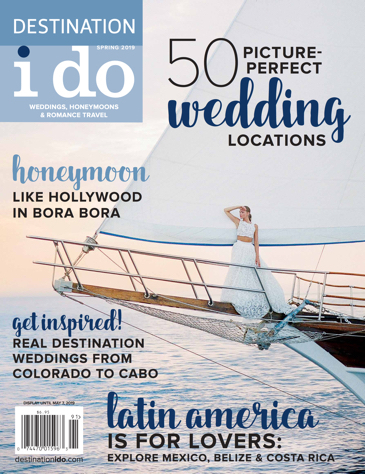 Are you looking for a destination wedding or honeymoon location that’s equal parts relaxation and adventure? 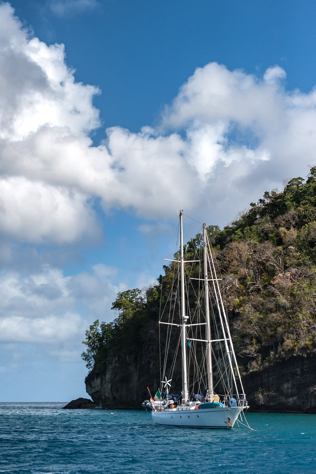 On the Caribbean island of St. Lucia, you can have the best of both worlds – beautiful beaches and rugged rainforest. Despite being farther south than Caribbean honeymoon hotspots like Anguilla and Nevis, St. Lucia makes for a more convenient travel itinerary. You can skip the puddle jumper and interisland ferry since there are direct flights into Hewanorra International Airport (UVF) from most major U.S. East Coast cities. I’ve traveled extensively throughout the Caribbean and thought I had completed my love affair with this part of the world. However, St. Lucia had eluded me and the rugged, volcanic Piton Mountains were calling my name. After landing at UVF, my partner and I exited customs to find our pre-arranged shuttle to the Marigot Bay Resort and Marina. Marigot Bay is located on the northwest side of the island about an hour’s drive from the airport. It’s the location that makes this particular resort on St. Lucia special. It’s huddled on a lush, tropical bay with a marina filled with sleek sailboats and yachts. Marigot Bay Resort boasts outstanding service and complimentary amenities like snacks by the pool and an afternoon in-room treat like ice-cold Piton beers and fresh cookies. If you’re looking to wet your whistle, be sure to book a rum tasting at the Rum Cave with Ron. If you’re lucky, he’ll whip up one of his famous “St. 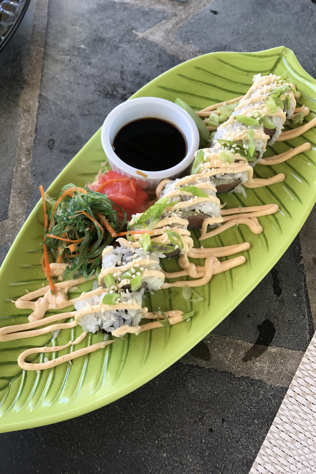 Lucian Spiced Lagers.” Pair your beverage at the Pool Bar with a Bonito Tuna Maki Roll or Aguachile Ceviche. 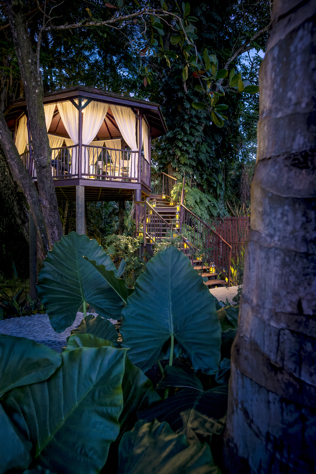 Also, kick up the romance by booking a private dinner for two in the hotel’s Tree House. If you get the urge to get out and see the sites, a drive around the island to the Piton Mountains is a must. If you’re in really great shape and are looking for a honeymoon challenge, you can book the Gros Piton Hike. To get the adrenaline pumping without the will of a marathoner, you could also opt for zip-lining, sailing or snorkeling. 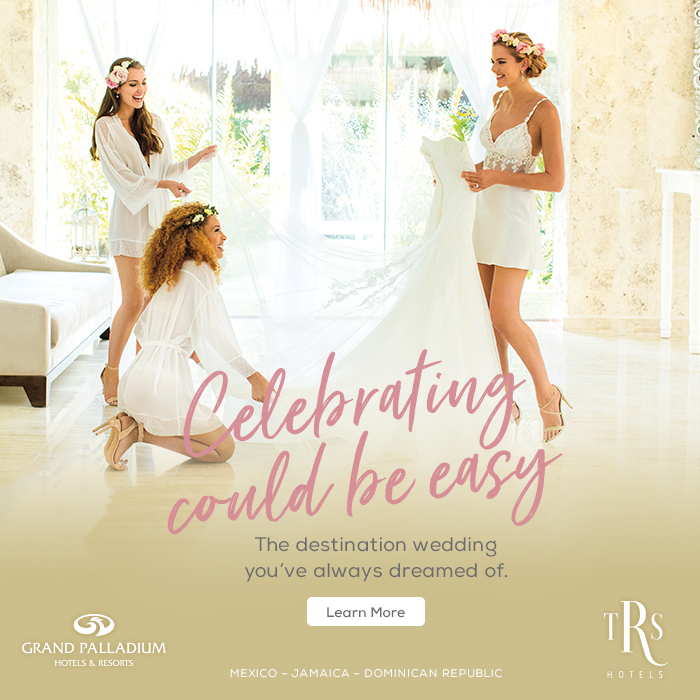 No matter how you choose to spend your time, take the St. Lucian motto to heart and “Let Her Inspire You." Photos courtesy of (in order of appearance): Marigot Bay Resort & Marina (1st, 2nd & 5th-7th) & Courtney Cox (3rd & 4th).